The basic idea bedind configuring different makes of Dlink Router remains same, though there might be some variations in settigs among diffenet makes. Port redirection or forwarding may be needed, for setting up a peer network or in case you want to deploy a server on the local computer to access the Internet,also this may be needed for multiplayer games. To start configuration, first Open any web browser(any .. Google chrome, IE or Firefox) and type in the address bar 192.168.0.1 . You will be asked for user name and password. Pass the necessary details and go to tab, ADVANCED and choose the tab Port Forwarding . After rule setup is done, just click on save button to apply the setting. One important point you should remember that the device for which you are forwarding the port should have same private ip asigned which we have just entered in the configuration screen. Also, this IP address should be set as static IP so that the device should always be available at the same IP address. Having a dynamic IP may result in failure as device can get a new IP address assigned after reboot. After you are done with router settings you need to find your external IP address so that it can be accessed remotely. To do so visit our main page at portcheckers.com. A screen similar to beow will be displayed. By default this page displayes your external IP Address. 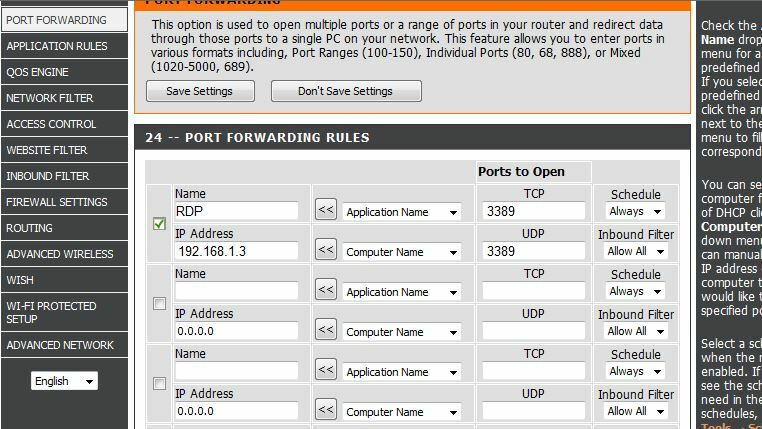 Now enter the port number you want to trace and click check button to test whether port forwarding have been set or not.